Anyone who has lived in a studio apartment knows that storage space is at a premium. When your entire home is essentially made of one room, finding space for your belongings can be a nightmare. Today, Affordable Family Storage shares a few creative storage solutions and why a storage unit can be a big help for any space issues you may have while living in a studio apartment. Build drawers that fit underneath your bed. As long as you have a bed that is lifted off the ground, you are wasting valuable storage space by not utilizing the space under your bed. If you’re not the crafty type, simply measure the space you have underneath your bed and search the internet for plastic or cloth bins that fit your requirements. Utilize wall space. Investing in hooks to hang up your belongings is a great and inexpensive way to add storage space to a studio apartment. Look for places such as the backs of doors to hang these hooks for keeping coats, belts, and even shoes. Find furniture that doubles as storage. Your coffee table does not have to be just a table. Instead, find a chest that can serve as the centerpiece of your room as well as a convenient place for storage. 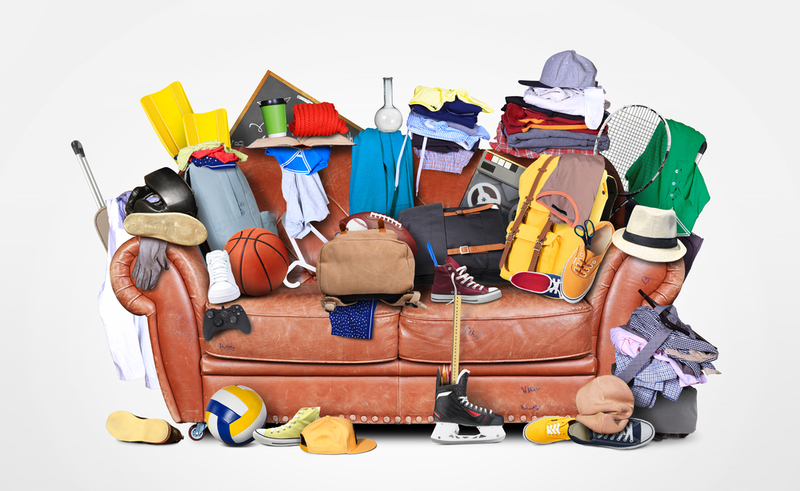 The fact is that you will not utilize a large portion of your belongings year-round. A storage unit allows you to store your seasonal items and save yourself a tremendous amount of room. Even a small storage unit will allow you to free up closet space by switching your winter and summer clothes each season. Closet space is one of the top places that apartment complexes cut space when designing studio apartments. Fitting a full year’s wardrobe in a small closet can be a real struggle. Instead, renting even the smallest storage unit will be more than enough room for your wardrobe. In Need of a Storage Unit in Des Moines? Affordable Family Storage has the premier storage facility in Des Moines. With our state-of-the-art climate-controlled storage units and 24-hour security, you can rest assured that your belongs will remain safe and sound. Contact us today to learn more!